The Safe Online Child - Keeping your children safe online. Welcome to the Safe Online Child! This website and accompanying book is full of real life examples, research and ideas on how to talk with your kids about the internet collected from professionals and users around the country. In addition, it highlights what I feel are the two essential safety principles that, if followed, can protect your kids in any situation. 1. Internet Safety is more about your relationship with your children than about the technology. 2. Internet Safety is about knowing as much or more than your kids do about the Internet. Download now - iPad, Kindle, Nook! I am teaching a class for our school district community education program and this information was very helpful. Thank you! 5.0 out of 5 stars - Crucial information all in once place! 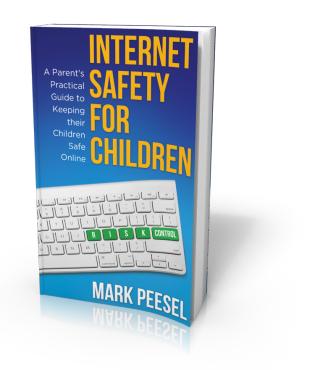 I’ve been looking for a book to give me all the information, tips, and helpful strategies on keeping my children safe on the Internet. I have a 5 year old who has known how to navigate my iPad and iPhone for 2 years now. This is a must have book for anyone with children. This book contains stories and sections that can be shared between a parent and their child or children. It’s such an important topic and the author takes an honest and easily approachable way to share this information. A very approachable guide for parenting in a connected world. Thorough but not overwhelming. An easy enjoyable educational read. I’m pretty tech-savvy, but I learned quite a bit, especially about parenting!